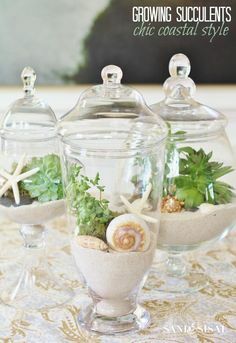 Awesome apothecary jars....and what to do with them. Is there another name for these that isn't quite so pompous? 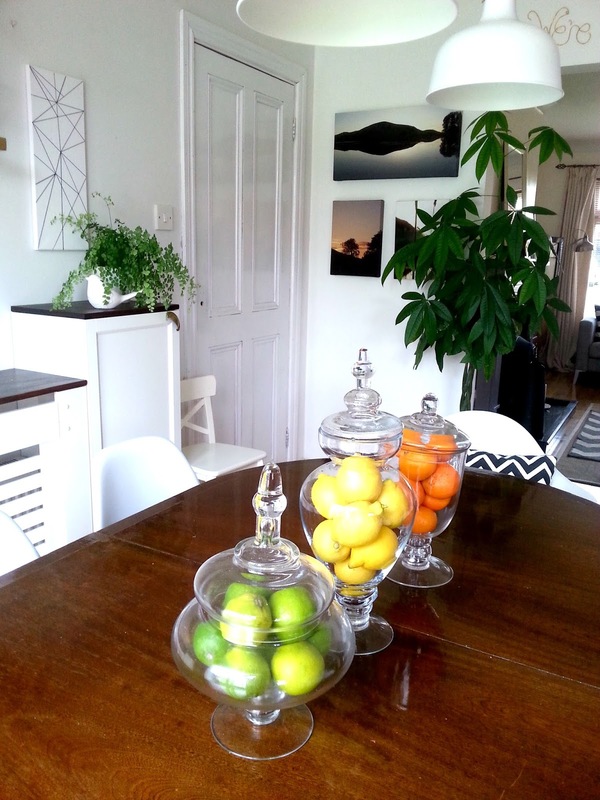 Anyway, you know what I mean, the big glass jars with lids that have been doing the rounds on pinterest for the last few years now. I'd wanted some for a long time, and then I found one for €18 in a second hand shop, and i was delighted, cos the only other place I'd seen them had been on Amazon, for €30-€40 each. But I didn't want just one, I wanted a display, and that meant three. Don't ask me why, that's just what my brain told me. So I kept an eye out, and then, on a rare trip to TK Maxx, lo and behold, there they were! A whole display of them, in different shapes and sizes, all for under €10 each! So I snapped these two beauties up and swiftly left the shop, cackling to myself. Probably the most obvious choice but very effective, and you can get them in every color known to man so you could definitely get the look you wanted with them. 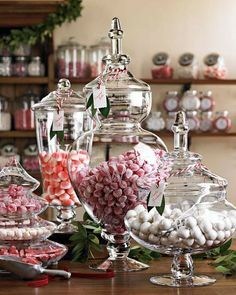 A good tip I saw was to stick a tube of cardboard in the middle of the jar and then just fill around the outside of that so you don't have to buy about a bajillion sweets. Another fairly obvious choice, but still a good one, and again, you'll find flowers to suit whatever look you're going for. 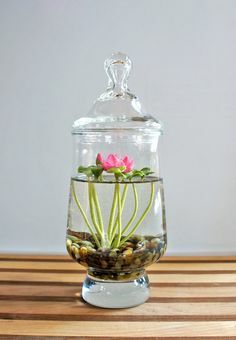 If you want flowers, but still want a bit of variety, how about a water lily? 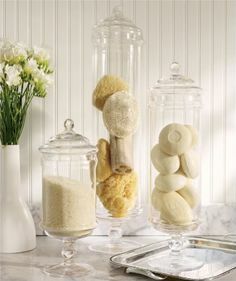 How about using them to store bathroom products like sponges, bath bombs and salts? Give your bathroom that luxurious spa feel! 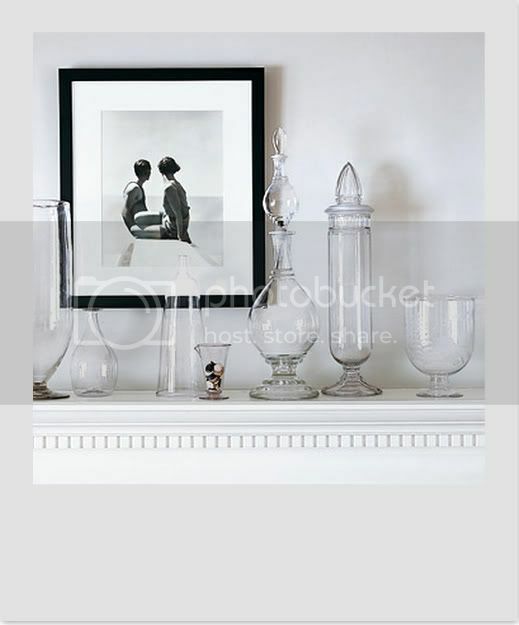 This is one of my favorite ideas, displaying your interesting objects or collections. 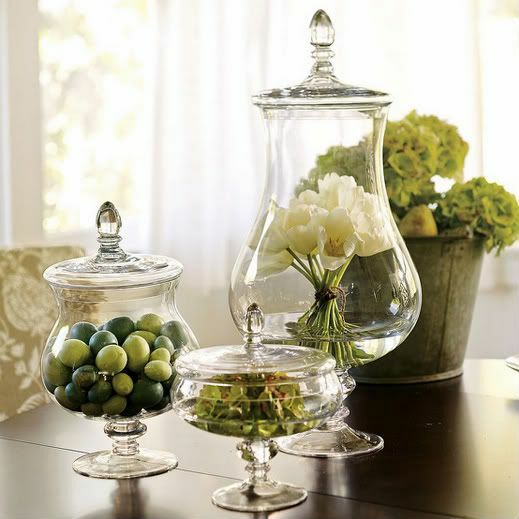 Just make sure you get enough height by creating a stacked effect if the object isn't big enough to fill a large portion of the jar by itself. 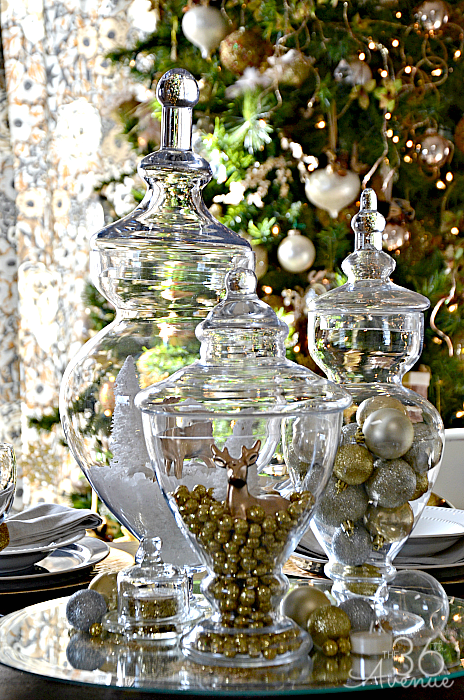 I love Christmas, and I love Christmas decorating, so I can't wait to try out some of these ideas. 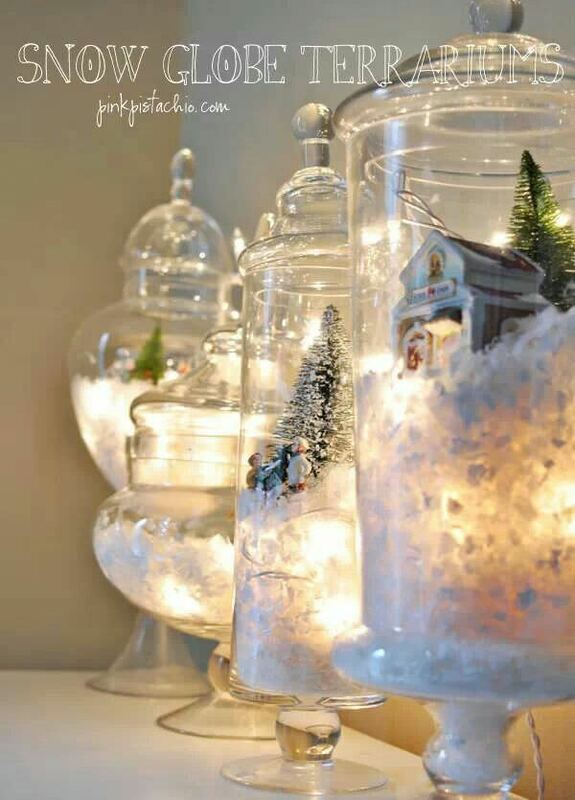 I especially love the white lights in the fake snow, I have sets of L.E.D's that will be perfect for this. Ever heard the saying "don't over-gild the lily"? 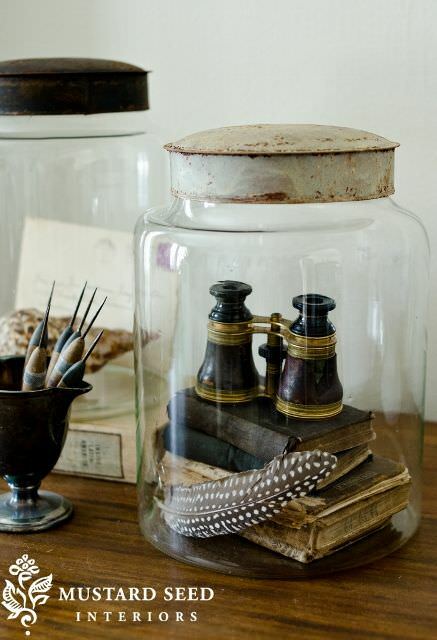 Well, apothecary jars are pretty fantastic looking by themselves, so I reckon they look pretty great as is. Just remember the basic rule that you should group them in odd numbers, and vary their heights, and they'll look great! Great post!! Love these jars, good old TK Maxx eh? I'm due a visit! 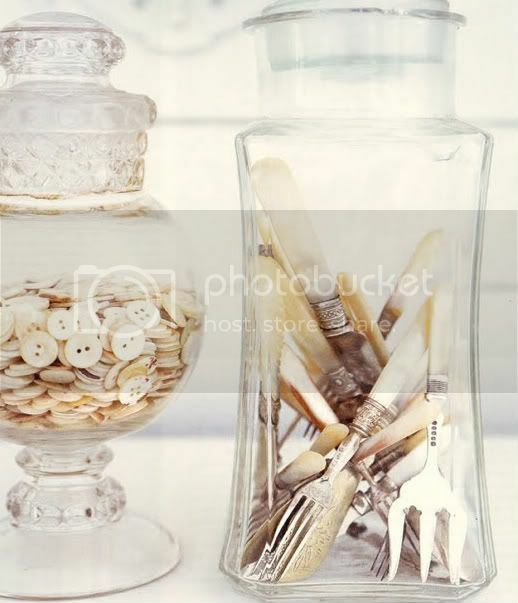 Love the idea of stacking some interesting items in them but I think this would depend on the shape of your jar. I think they will he amazing at Christmas filled with lights! TK Maxx is great recently, got some more fab stuff yesterday. 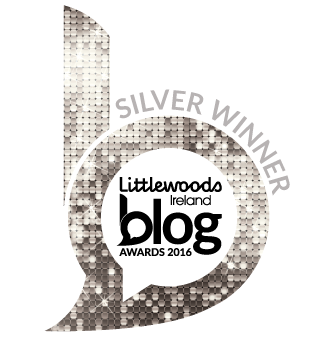 They had some gorgeous jars with silver lids and stands, really wanted them, but alas, I already have some and doubling up is not in the budget at the moment!